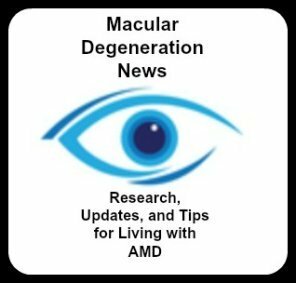 Technology is constantly emerging to help those with macular degeneration to maximize their usable vision. Such is the case with the innovative work of eSight in developing eye wear that makes it possible to see faces of loved ones and to read again. Join us for this e-interview to find out how this low vision technology can help those even with severe vision loss. Tell us about your company. Where are you located, who is the founder and what is the mission of eSight? eSight Corp is an innovative healthcare products company, situated in Ottawa, Canada. It was founded by Conrad Lewis, a technology executive who has been personally touched by the profound debilitation of his two sisters due to Stargardt's Disease, as well as his wife due to several retinal detachments. Knowing that better vision aids are possible with the right application of today's technology, Mr. Lewis' brought together the best possible team of engineers and vision specialists to launch eSight Corp. Describe your eSight eyewear and how it works. 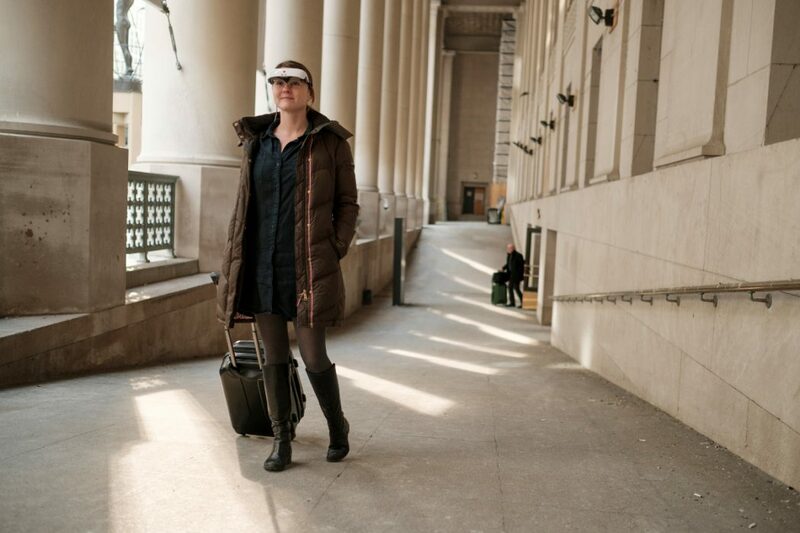 eSight Eyewear is a new class of wearable, electronic assistive technology for people with low vision such as those with macular degeneration. Looking much like a pair of sunglasses, this technology includes a high-resolution video camera and video screens, as well as regular prescription lenses. Using zoom in/zoom out, contrast and colour optimization, edge enhancement and brightness control, eSight Eyewear enhances whatever the wearer is looking at to maximize their remaining eyesight. What improvements in vision can one expect when wearing the eSight eyewear? It depends on the individual – some have told us that they are able to read for the first time in decades, see faces of loved ones and feel more engaged with their surroundings. 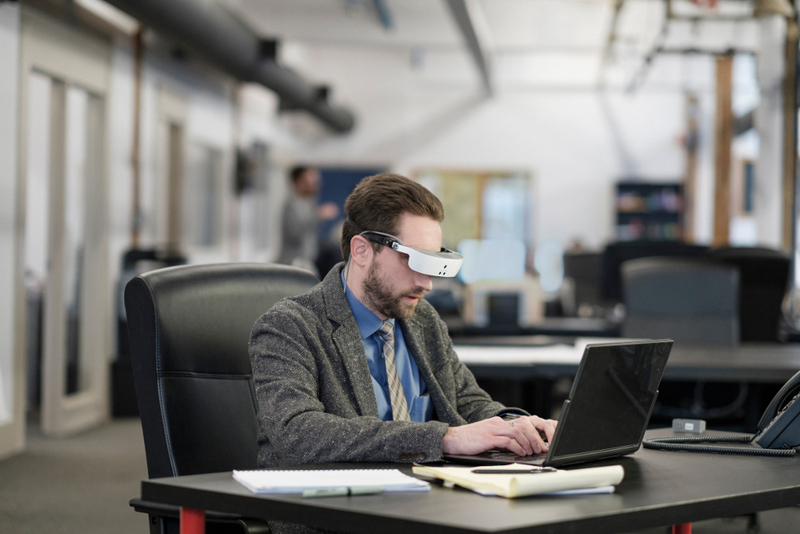 We have also heard from people who work in an office environment that eSight Eyewear enables them to work just as effectively away from their desk devices – the portability enables them to see presentations and recognize colleagues in a meeting. Is the eSight eyewear like prescription glasses in that each person's video eyewear will be based on their specific eye condition? eSight Eyewear is personalized for each individual – the algorithms are programmed according to the individual's eye condition and their preferred activities. As well, the individual's prescription lenses are built right into the Eyewear. Who Benefits from eSight Glasses? Who would benefit from wearing eSight eyewear? 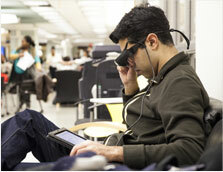 Can you list some of the different eye conditions that this technology can help? eSight Eyewear works for a variety of low vision conditions and is most effective for those with acuity between 20:60 and 20:400 and with a field of view greater than 15 degrees. Also, people younger than 75 adapt much more readily to the technology. Are your glasses FDA approved? eSight is approved by the US FDA and Health Canada. “One of the many ingenious features of eSight 3 is that it simultaneously increases the central field of view of sight while preserving full access to peripheral vision, providing the best of both worlds: unprecedented mobility and high-acuity central vision,” said Dr. Robert Devenyi, chief ophthalmologist at Toronto’s University Health Network said. About how much does the eSight eyewear cost and why is it so expensive? Like any new technology, we expect the price will come down as more glasses are produced. 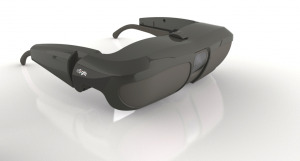 eSight Glasses are made of extremely sophisticated and expensive component parts. Many millions of dollars have been spent in research and development. Many millions more will be spent on further research and development. While eSight can be considered expensive by some at $10,000, many consider such a price reasonable in that it actually delivers the gift-of-sight. We realize that many people with macular degeneration cannot afford this price and we will do all we can with sponsors and funding organizations to ensure that anyone who needs eSight will get the glasses regardless of their ability to pay. Where are your glasses available? If someone was interested in the eSight eyewear who would they contact? If interested, it's best to send an email to info@esightcorp.com so that we can let people know when eSight Eyewear is available in their area.